If you’re lucky enough to be the proud owner of a Mini Cooper, you get it. The cool, British style that evokes the feel of swinging London. The easy riding and unique feel. Minis are just fun to own and drive. Like any car, they require periodic maintenance. You can take care of some maintenance tasks on your own. This gives you a feeling of accomplishment and a closer connection with your car. For other, more serious issues, bring your baby to Steve’s Imports for Mini Cooper repairs in Portland. 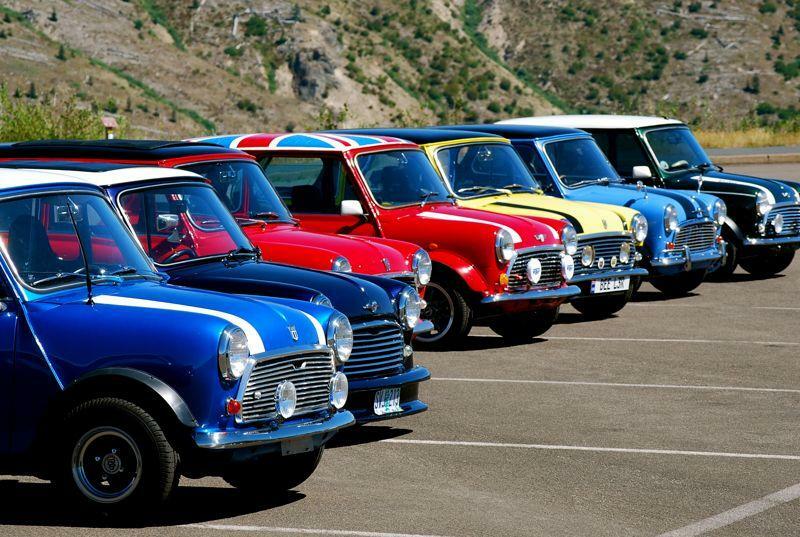 The original run of Minis went from 1961 to 1971. This led to their being irrevocably tied to the era. The line became the Mini Clubman throughout the 70s and 80s. The Cooper re-entered production for the 1990s until the company got bought out by BMW. They still make Minis, but in many ways, nothing compares to the classics. Surprisingly well-made for the time and resources available, many of these models are still on the road today. That’s no accident. With proper planning and care, you can get many more years of service from your favorite car. The engine timing belt on Mini Coopers is notorious for coming loose. You can tell when you hear a rattling or thunking sound, especially when you just let it sit and idle. While it initially doesn’t seem like anything more than an inconvenience, if you leave it unchecked this issue becomes a big problem down the road. Here’s how to replace your own engine timing belt. Purchase the Belt: You need to get the part before you can replace it. There are many different Mini Cooper variants, so make sure that you know your vehicle’s exact model and year of production. Sometimes they come in complete kits. Other times you have to get the belt, gaskets, and adhesives separately. Battery Terminals: Disconnect the battery power by pulling off the cable from the negative terminal. This prevents shocks and other electrical problems. Alternator Belt: Sometimes the timing belt is in the area surrounded by the timing belt. If that’s the case, make sure to take the alternator belt off so it doesn’t get in your way while you work. You might need to also remove other pieces that are in the way. If you do, keep track of the order in which you took them off. Keep all parts organized separately. Aligning Timing Marks: Once you have access to the belt, take a look at the sprockets and pulleys to look for the timing marks. These should line up with the marks on the motor. If you don’t line them up later on If you don’t keep them aligned during belt installation, everything is going to run poorly. Tensioner Pulley: You aren’t going to get that belt off without loosening the tensioner pulley. Once it’s loose you have enough slack to take off the belt. strong>Install and Replace: Now slide the new belt on, making sure that its teeth fit into the gears on the pulley assembly. Line the sprockets all up with their timing marks. Tighten the tensioner pulley. Now put everything that you took off back on, in reverse order. The other main problem that develops with these cars is that the water pump goes out. When it does, it starts to leak. This usually happens sometime after the car hits 50,000 miles. If you are going to buy a Mini, ask the seller when the last time they had a replacement was, if ever. Once you hit 50,000, replace the water pump. It’s better to have to do it beforehand than having it go out while you’re driving. Also, any time you open the good, check for leaks just in case. While you might pride yourself on doing your own maintenance, water pump replacement is something that you usually want to have a mechanic do for you. If you really want to keep your Mini in its optimal performance condition, you need to get it regularly serviced. These cars can be tricky to work on because everything is cramped inside. You might not have the right size of socket heads, either, for removing nuts and bolts. As the classic Mini Coopers age, parts can become more uncommon and harder to find. That’s why we here at Steve’s Imports are here to help. We can source virtually any part you ever need. We only ever use OEM parts, those from the original manufacturer. If we absolutely cannot track one down, we make sure that the pieces we do use are compatible with the original factory quality and performance specifications. The team at Steves’ Imports has been working on Mini Coopers for over 30 years. In that time we’ve seen it all and earned a lot of expertise. To be a truly great mechanic, you have to have a passion for cars. Nobody in the area can match our love for imports. All of our technicians are ASE-certified so you know that you’re in good hands. Diagnostics: If there’s anything wrong, we can find it, fast. Clutch Repairs You know that you don’t want to do it. That’s why we’re here. Engine Fixes: We get the job done right the first time so you can get back on the road. Body Repairs: Yes, we’re a mechanical and body shop in one. Just give us a call or fill out our handy contact form on this site so we can get you an appointment. We’re known for our honesty and integrity, and clearly explain all of the repairs that we make in language that non-mechanics can understand. We charge fair, affordable prices. There’s no need to let your precious car go without the repairs and performance optimization that it deserves. 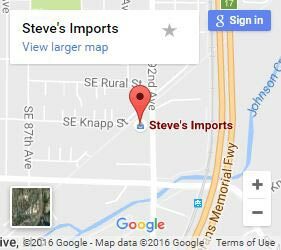 Bring it into Steve’s Imports for all your Mini Cooper repairs in Portland.